Los Angeles Bagpiper Auditions for “Idiot Test” Game Show. Los Angeles Amanda and Harry Farrar we asked to audition for the new game show “Idiot Test” at the studios in Burbank, California. The producers and staff were great and so much fun. 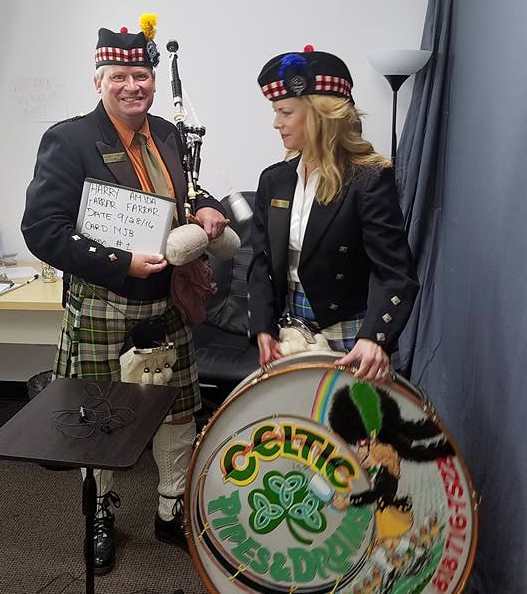 www.bagpipeplayers.com is a great source for pipers and drummers in Southern California. Contact Harry Farrar for more information. « Bagpiper Performs For St. Patrick’s Day with help! Bagpipers and drummers are great for special events like weddings and big occassions than need a unique entertainment factor.